Ford Figo is a huge success in India and it has raised the bar of performance for a car in the competition stricken Indian automobile market. 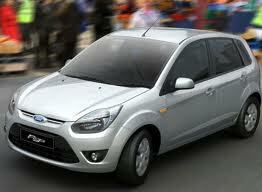 Now the Ford Figo is on its way to become the flagship model of Ford. Ford Figo is the manufactured hatchback by Ford launched in India, the engine specifications of petrol version of the car are 1.2 Liter DuraTec MPFI Petrol Engine, Max Power is 70 BHP and max torque is 104 Nm. Diesel version has 1.4 Liter DuraTorq CRDI Diesel engine, Max Power is 68 BHP and engine produces a torque of 160 Nm. It has other features like 5 Speed Manual Transmission, Huge luggage space, Wheelbase of 2489mm, Anti lock braking system, Electronic Brakeforce Distribution system, Programmable remote locking system etc. Ford presently is looking forward to expand the market of Figo and to do so, Ford is planning for the overseas expansion of the market for Ford Figo. Initially Ford is looking to export this car to Caribbean, North Africa, Mexico and Middle east. Ford also has plans to make India an international hub for the acclaimed compact car. Indian auto industry will act as the hatchback hub for Ford and Ford Figo will be manufactured in India only and they will be exported to countries all across the globe. As a future plan, Ford is looking to introduce eight new cars for the domestic car market.